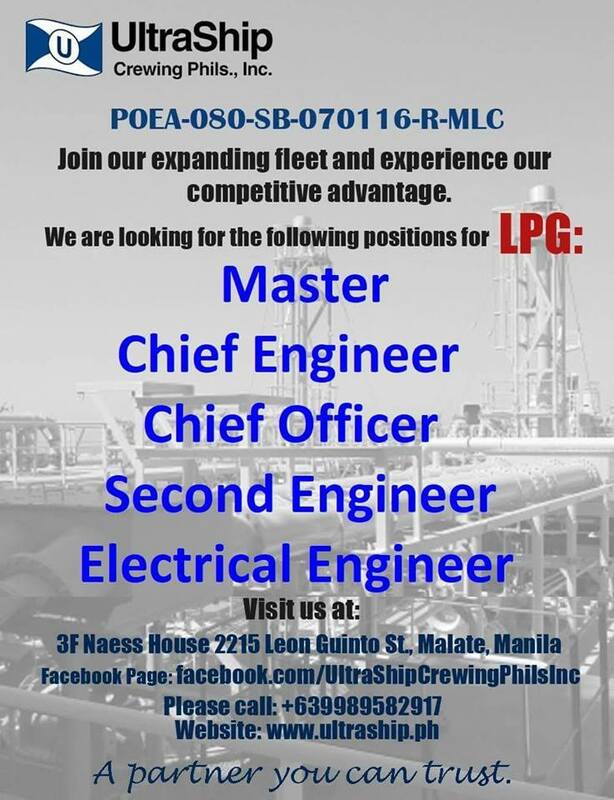 SEAMAN JOBS INFO - Posted 10/1/2018 ULTRASHIP CREWING PHILS., INC. 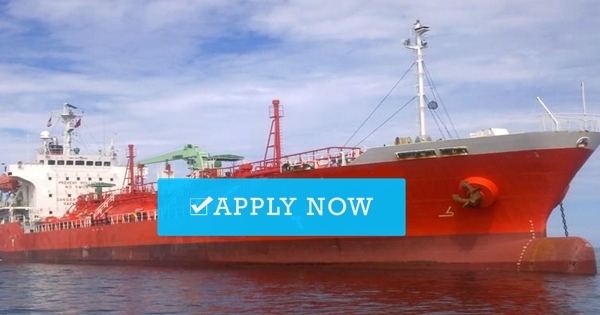 Opening hiring crew for LPG ship rank officers, engineers, ratings joining A.S.A.P. 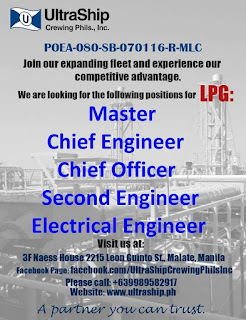 0 Response to "Looking Master, Chief engineer, Chief officer, 2nd engineer, Electrician For LPG Ship"